Noodles are a favourite with everyone! There are soo many types of noodles one can make… chinese fine egg noodles, veg noodles, flat ones, rice ones, udon noodles…i can go on and on…whichever noodle you choose to make is upto you. Even the choice of meat or veggies to make them with can vary from tastebud to tastebud. 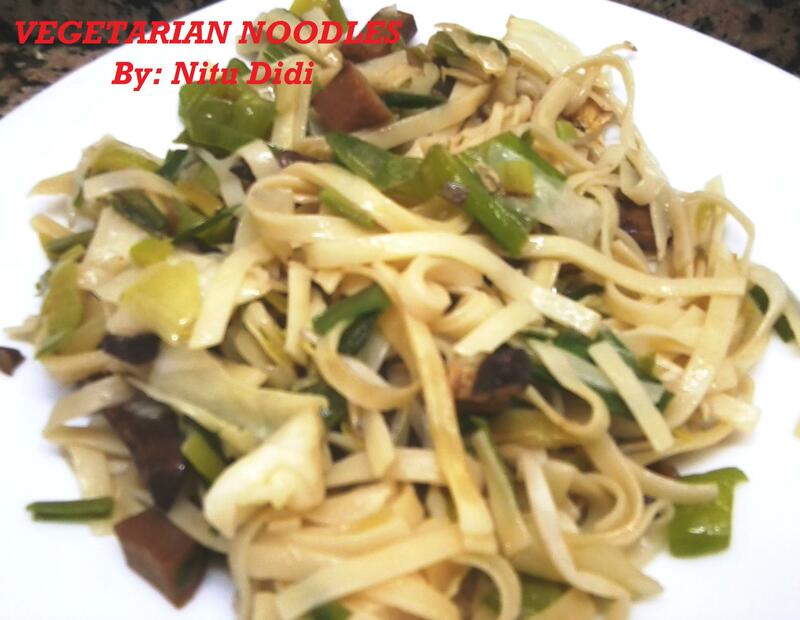 So here i will teach you a simple noodle recipe you can make with a few ingredients from your kitchen! This entry was posted in Everything Vegetarian, Floury Matter, Made in China, Vegan and tagged bambooshoots, noodles, vegetarian. Bookmark the permalink.